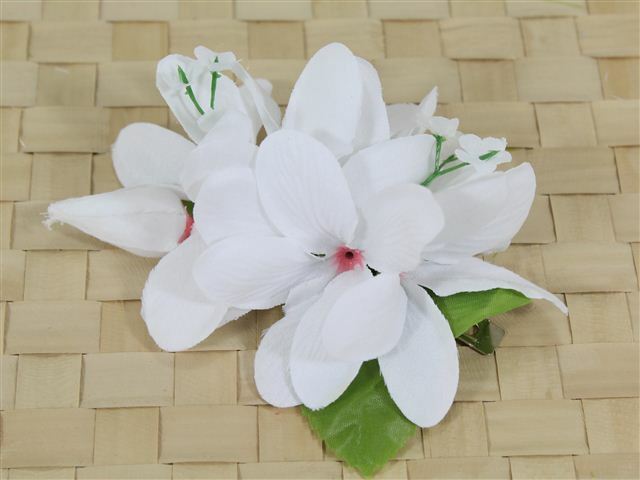 Purchased Item: White Plumeria Clip 4"
I wear the clips nearly every day and get great comments from strangers in passing. Love it, pretty and good size, nice clip. This was purchased as a replacement for my old one. This is probably the one I will wear the most (and wear out sooner). I love this hair clips. I wear one every day. I now have about 26 of them in various colors and types (but all are the 4" clips). I color coordinate my clips with my shirt.